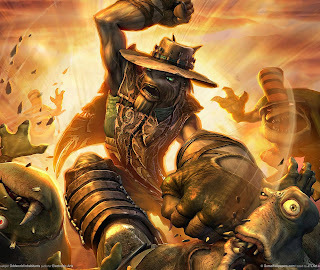 Oddworld: Stranger’s Wrath HD now has a release date. It’s a remake of the Xbox game by the same name (minus the HD); it came to PlayStation Network (via PS3) in 2011. We haven't heard anything about the Vita iteration since last August, when we learned it would be coming very soon. Oddworld: Stranger's Wrath HD will come to PlayStation Vita in North America on December 18th, and will be available as a digital-only download. This news comes by way of the Oddworld Inhabitants Facebook page, which also notes that Sony Computer Entertainment Europe is still approving the title. Thus, there’s no European release date yet. However the date should be very similar. Let us know if you will buy Oddworld in the comments below!